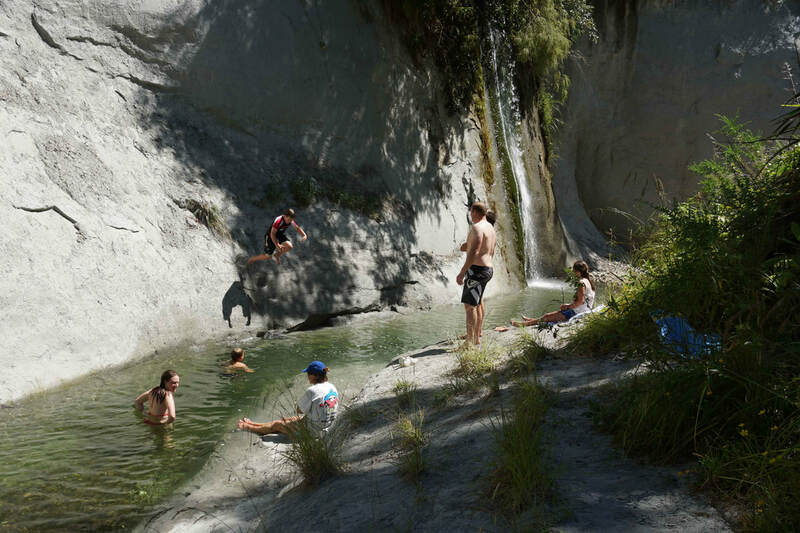 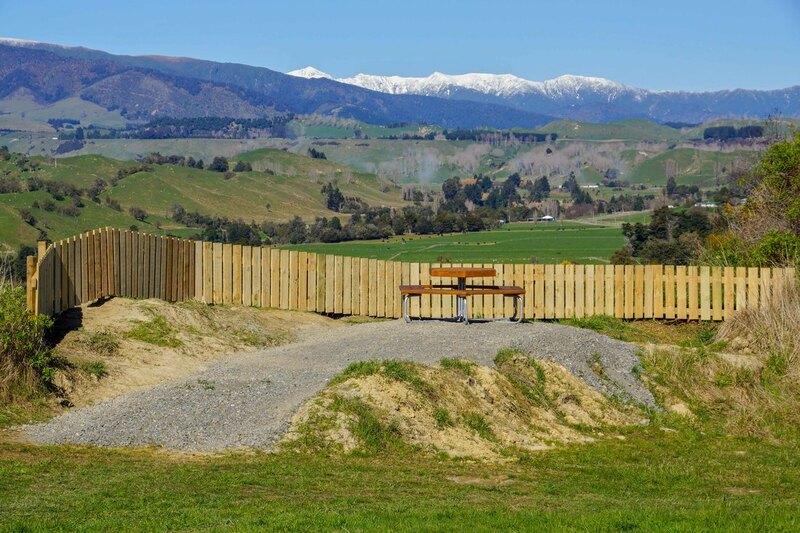 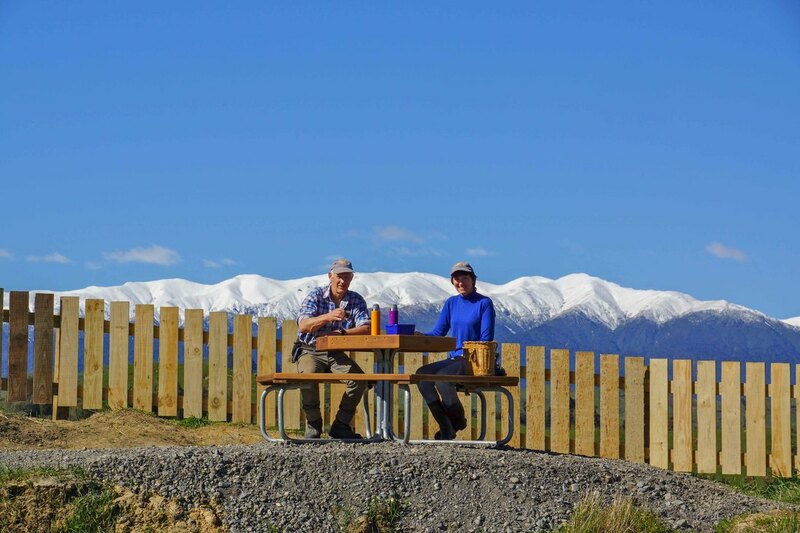 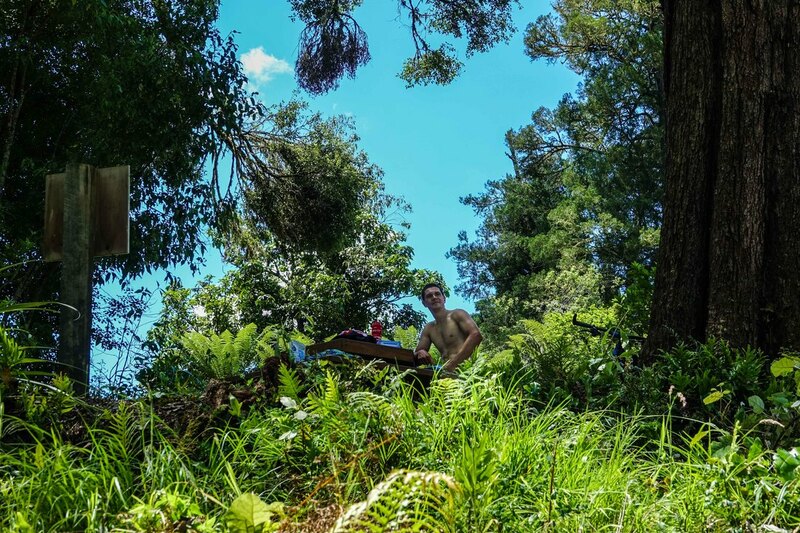 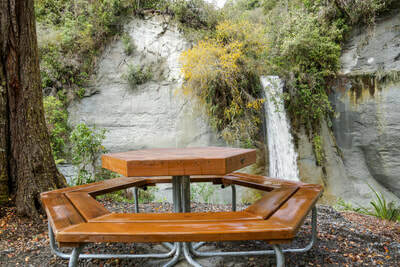 Tucked away on a side road off Ruahine Road in the northern Manawatu is an amazing picnic spot. 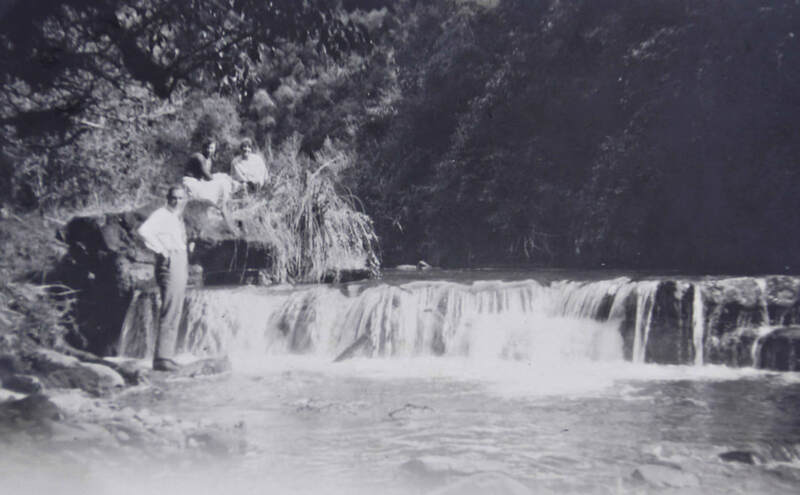 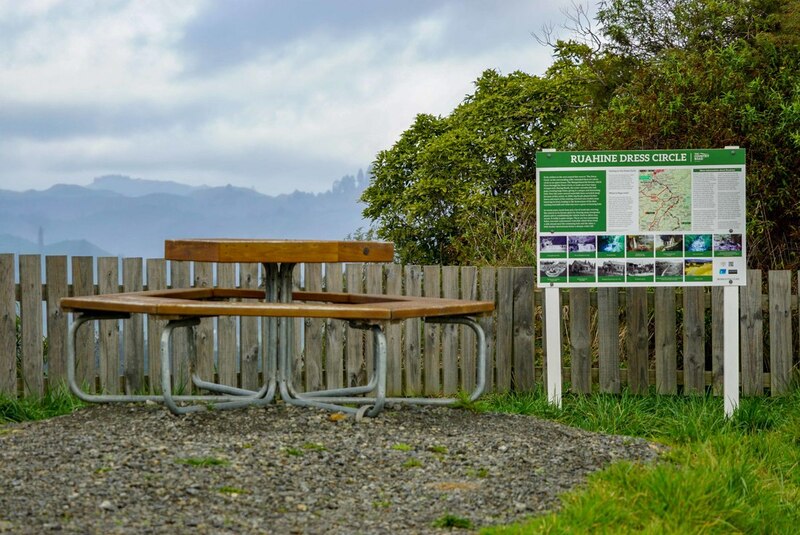 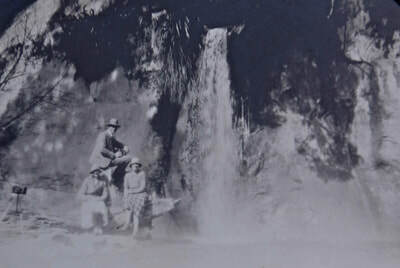 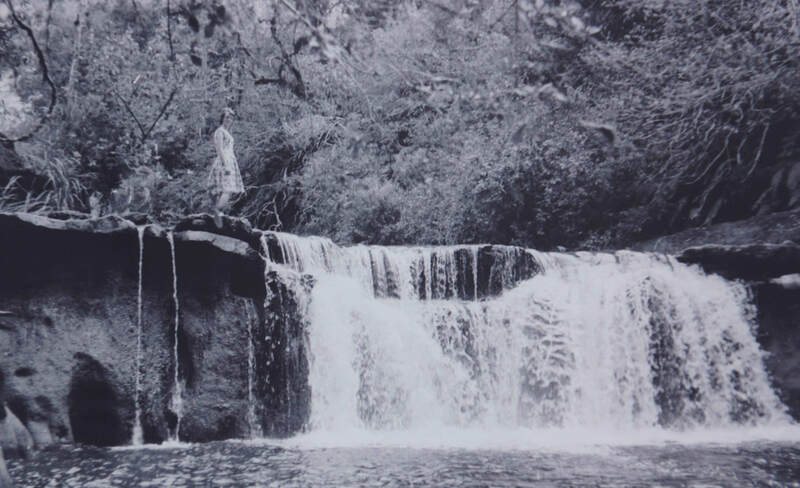 According to one of our past Rangiwahia residents, the late Ngaire Hancock, this area has been a popular swimming & picnic spot for over 100 years. 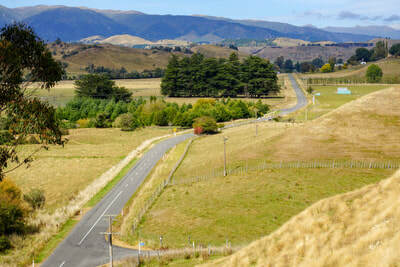 It has featured in AA magazines and known all over New Zealand. Apparently early settlers gave the area its name, because when they saw the surrounding cliffs, they were reminded of the dress circle in an opera house. 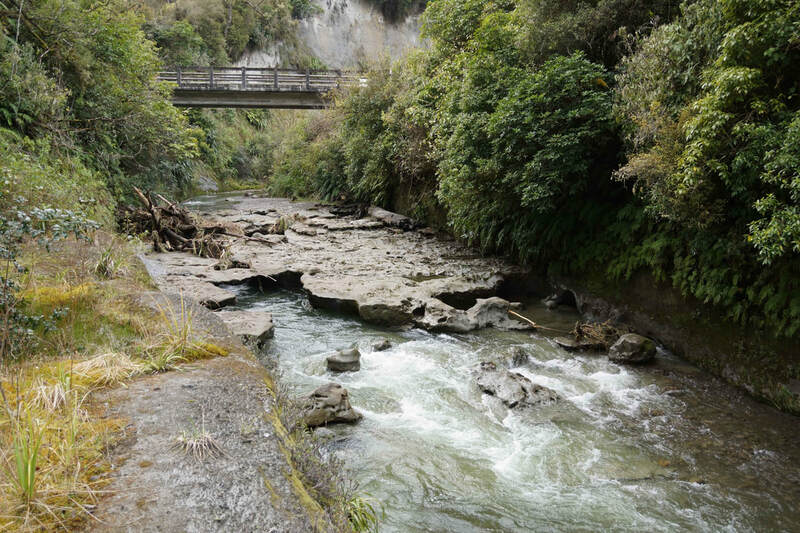 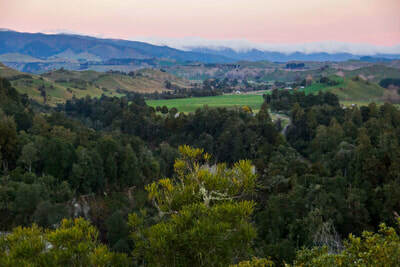 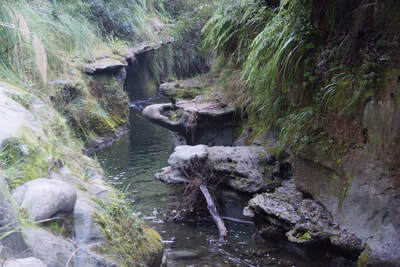 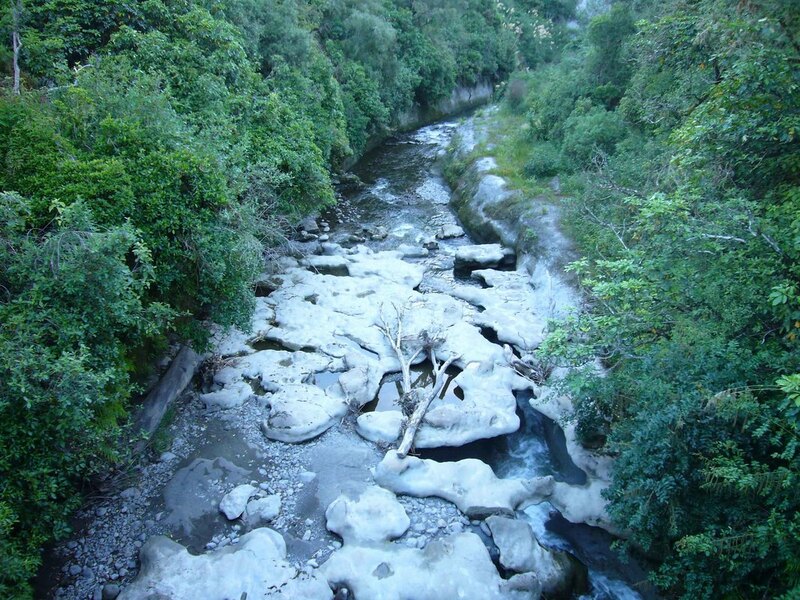 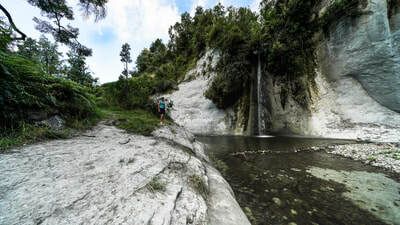 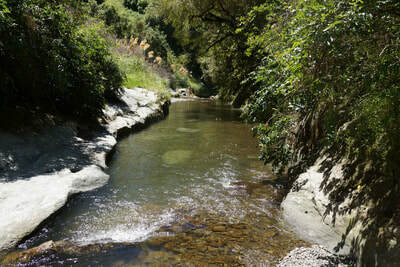 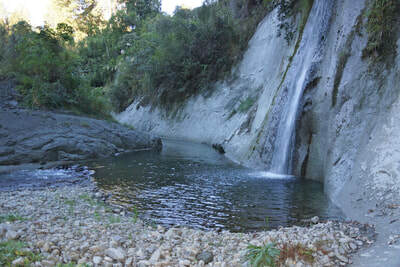 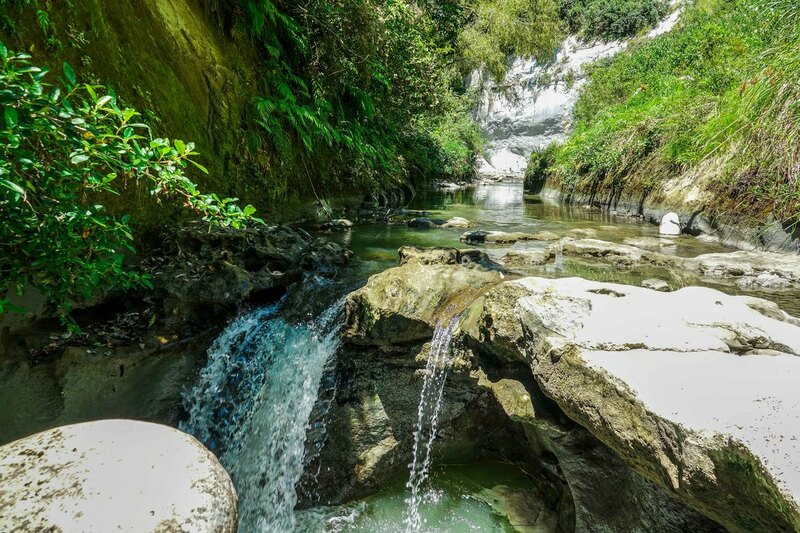 The Mangawharariki stream, which flows through The Dress Circle, is made up of two types of papa rock. 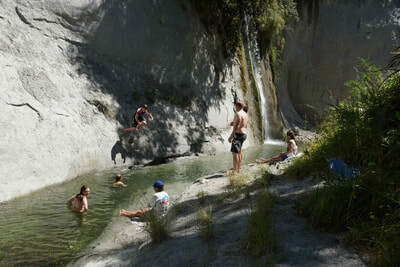 During floods, the water has corroded the soft papa creating large holes and giving the impression, as Janet from Destination Manawatu said, of Middle Earth. 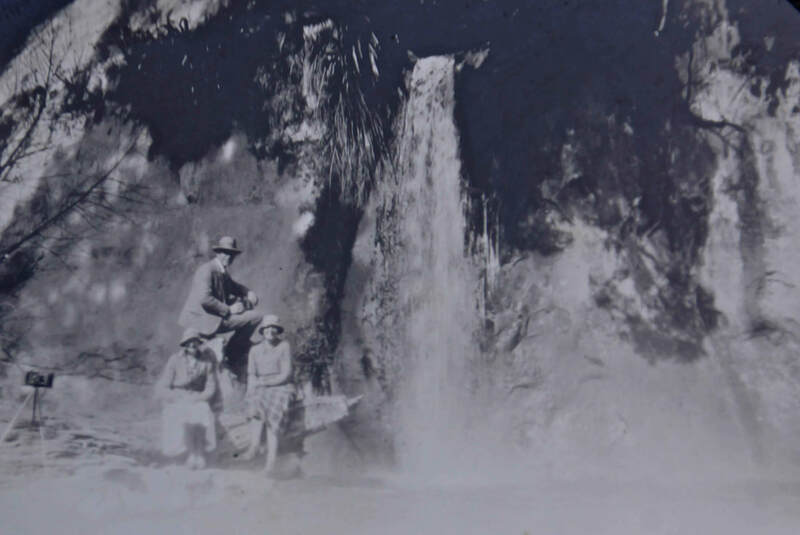 Over the years there have been several waterfalls corroded away because of this action. There is a permanent waterfall from a side stream by the swimming hole, but a little further down stream can be found another deeper and wider fall. 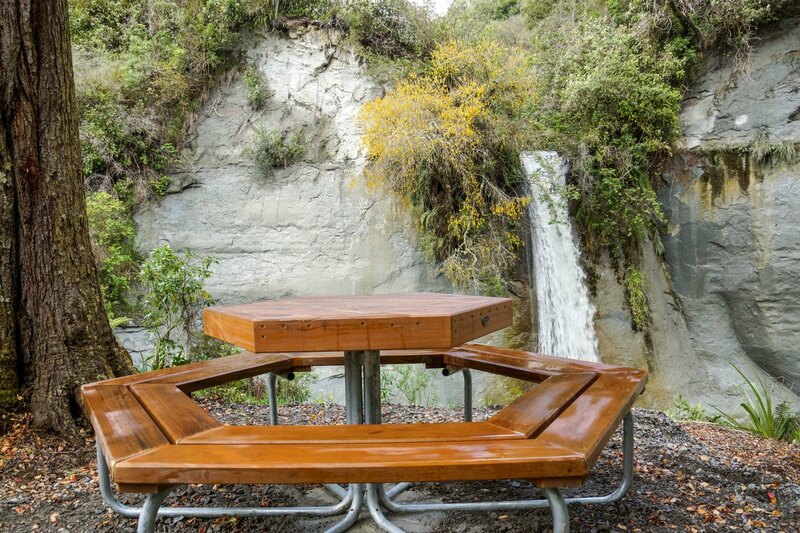 Picnic table looking towards the waterfall framed by a kowhai in full flower. 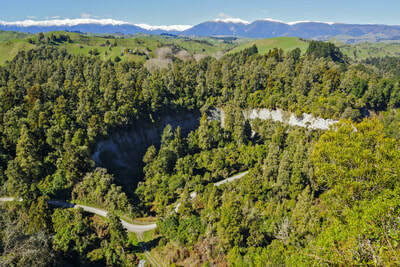 To get there you turn off Ruahine Road onto Kelpie Road & then left down Lagoon Road, until you go over a bridge. 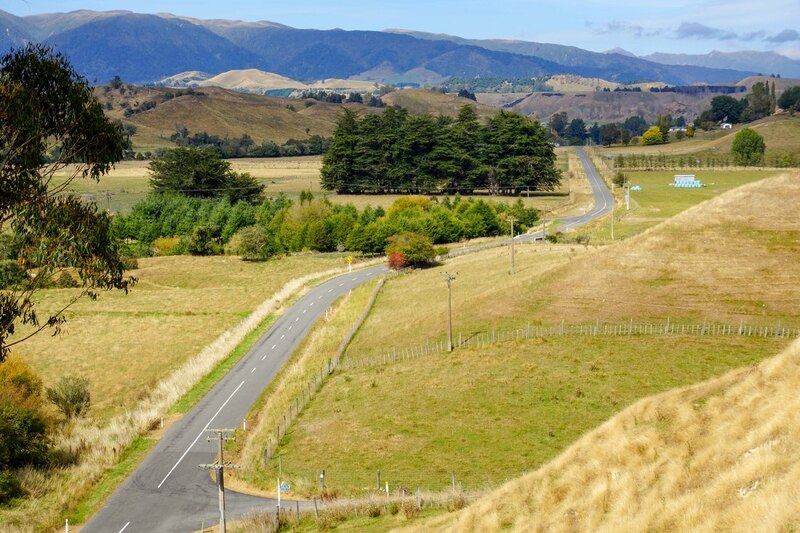 Turn left down a paper road and you are at the swimming pool. 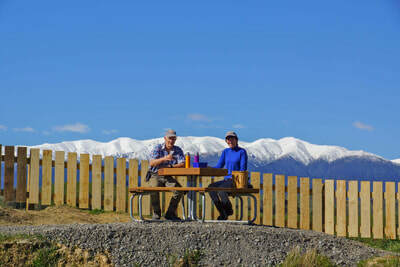 It’s about 4-5 minutes from the turnoff.